Biological evolution, the changes in living organisms over time, is often considered an elusive and long process that cannot be observed during a human lifespan. But is that really the case? And is there evidence that we can see it happening right before our eyes? Evolution is a process that occurs at a different pace in different organisms. For instance, paleontologists have shown, thanks to the fossil record, that it took a million years for whales to evolve from their land-dwelling mammalian ancestors. But evolution can also be observed and monitored in living organisms within a human lifetime. This is true for infectious agents, such as bacteria and parasites, that can evolve extremely quickly to resist the drugs we use to fight them. But it is also the case for larger organisms, such as vertebrates – the back-boned animals. One of the most famous examples was documented in a population of finches living on Daphne Major island in the Galapagos archipelago. In this case, ground finches Geospiza fortis evolved larger beaks after a major drought in 1977. During this harsh period, the small seeds on which the ground finches were feeding on became scarcer, and most of the birds died. However, scientists noticed that the mortality rate was lower among larger birds, with a larger beak. They were able to crush bigger and harder seeds to feed on while the small seeds were depleted. Large-beaked finches had a great advantage over their small-beaked relatives to survive these tough conditions. They reproduced more and transmitted this trait to their offspring. Following the drought, scientists observed a shift towards larger beaks and body size among subsequent generations. Strikingly, researchers reported a reversal towards small body and beak size after large rain falls and abundant small seed supply in 1983. Monitoring the finch population over the years has thus allowed scientists to observe their rapid evolution and to link it to different environmental changes. The fact that evolution can be rapid not only allows scientists to observe it in action, it also means that they can perform real-time experiments in the field to test their hypotheses by changing specific environmental parameters. Recently, a team of scientists in Florida demonstrated that rapid evolution of a species can be triggered by a negative interaction with a competitor. To do so, the scientists introduced an invasive species of anole lizard to a group of small islands that shared the same lifestyle and diet as the native one, Anolis carolinensis. The invader anoles forced the native ones to move from their original habitat on the forest floor and into the trees. 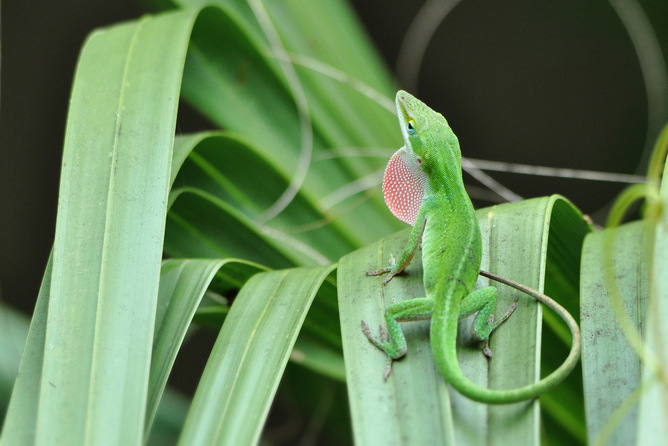 Scientists were not only able to follow the rapid shift in the lifestyle of the native anole species (they perch higher and higher in the trees over time), but also observed that it involved rapid changes to their body shape. Within only 15 years (20 generations), the native anole species evolved larger toe pads with stickier scales, enabling them to climb more efficiently in their new, higher habitat. Closer to home, many invertebrates change quickly, too. 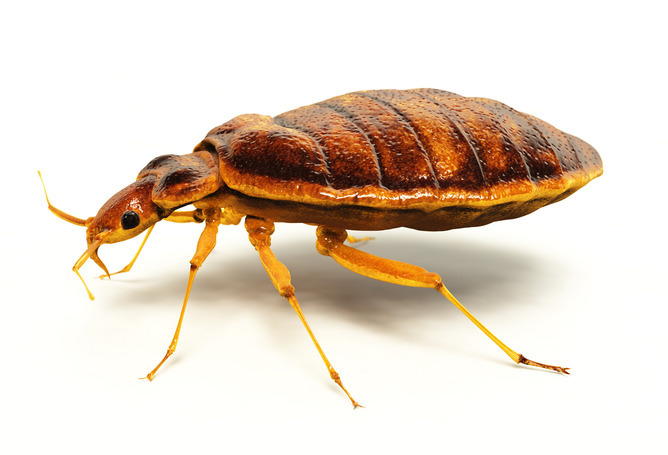 Bed bugs, for example, have rapidly evolved in the last few decades, developing tougher exoskeletons to protect them from the insecticides and other poisons in their increasingly urban environment. In his On the Origin of Species, Darwin considered evolution as a very slow process, the outcome of which would have taken much more time than a human lifespan. Of course, Darwin’s assumption was making sense of things in the scientific context of his epoch, but the field observations and experiments conducted over the past 40 years have shown that animals often evolve very rapidly indeed. Life, it seems, never stays still. Featured image: Flickr CC, Galapagos finch, Paul Krawczuk.